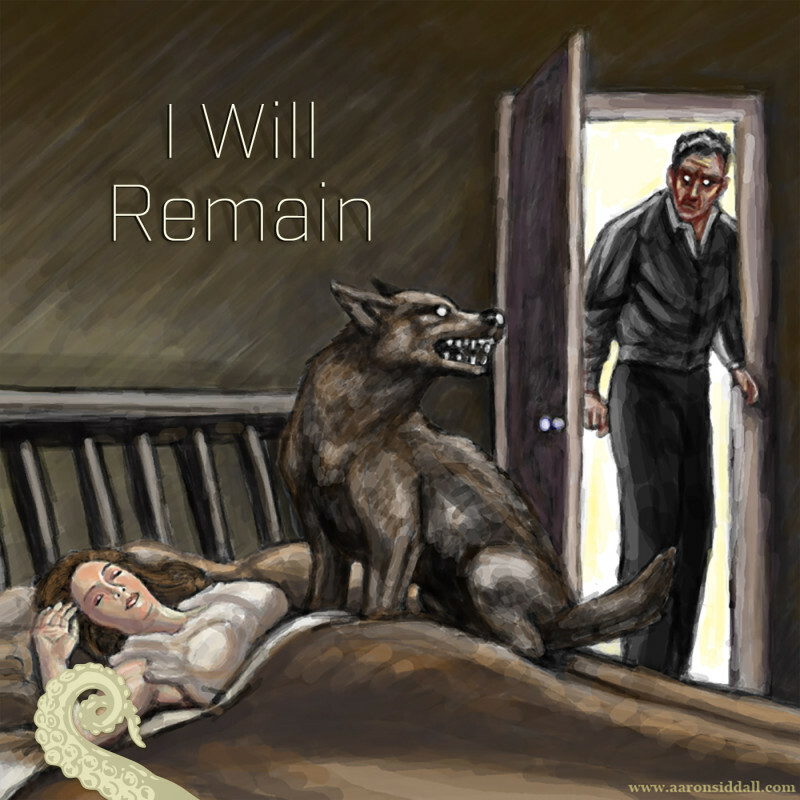 Feature: I Will Remain by David Steffen. Yes, it’s a ruff day in paradise. (Oh yeah, we’re barking up the dog pun tree.) We think you’ll thank us when you hear what we’ve unleashed. This is the story of one President who learns the horrifying truth and must fight to save humanity. And Democracy itself. I am not insane. I wondered, at first, whether I was simply a dog dreaming he was a man, but if that were true I wouldn’t understand English or recall the sights of London. These things are too real to be mere fancies. I know many things a dog shouldn’t. Fragmented memories of life as a man mingle with recollections of my canine existence. Mr. Milan, you’re out of the dog show,” said the official. Adam nailed it in this one I think, and a lot of those SFX were homegrown. I know because he was testing out a new mic and was sending me samples asking my opinion while producing it. The story was great too though ( i love all our stories!) but this one really got you in the head of that loyal ol' mutt (not-mutt) I thought. I likewise really enjoyed this one a lot. It took a little bit to win me over, but Nick's Alan Rickman-like narration was so nice to listen to before I knew it I was being eased into cannibalism (sort of?) and love triangles. I belive Nick Kerr narrated this one, but Adam really knows how to find the right readers. Def see the Alan Rickman thing. We're all a part of the same cosmic reincarnation dust, aren't we? Indeed! A lobster read it. I'm not an animal person, don't care much for dog stories, but this one spoke to me. I don't know if it was the Neil Gaiman-like reading or the very pleasing amount of human flesh eating that brought me joy, but I really dug this one. And yes, I thought Nick Camm sounded much more like Gaiman than Rickman. Maybe if I could hear Nick say, “What was it you said to me earlier? Yippie-ki-yay, mother%$@?#%r,” I might change my mind. The narration was spot-on. The sound effects work though, my god did that add a lot. The text alone didn't really evoke much, but that chomping turned my stomach. A very interesting premise, and I liked the conclusion and reveal. Sometimes sound effects work really well in a story. If you've ever heard the general sounds a dog or cat makes when they're cleaning themselves or eating... eeasssh... well... you know what i'm talking about. Peek behind the curtain: This is actually one I completed for Norm before the unplanned hiatus and ended up in limbo, so I was so pleased to have this one return with the relaunch. Wish I could take credit for those great effects, but I can't. Gotta give props to the hivemind at freesound.org for most of these. Turns out lots of people love to share sound of chewing and ripping flesh on there. Nick is absolutely one of my favorite narrators to use (for all the reasons mentioned above and more). I even eat PayPal's international fee to pay him. I swear, if I could do this full time and Norm could offer health insurance, this would be all I do. Just watched the Wes Anderson movie Isle of Dogs and it made me think of this story again. Steffen plays with the loyalty aspect of dogs in a cool and creepy (and romantic?) way here.